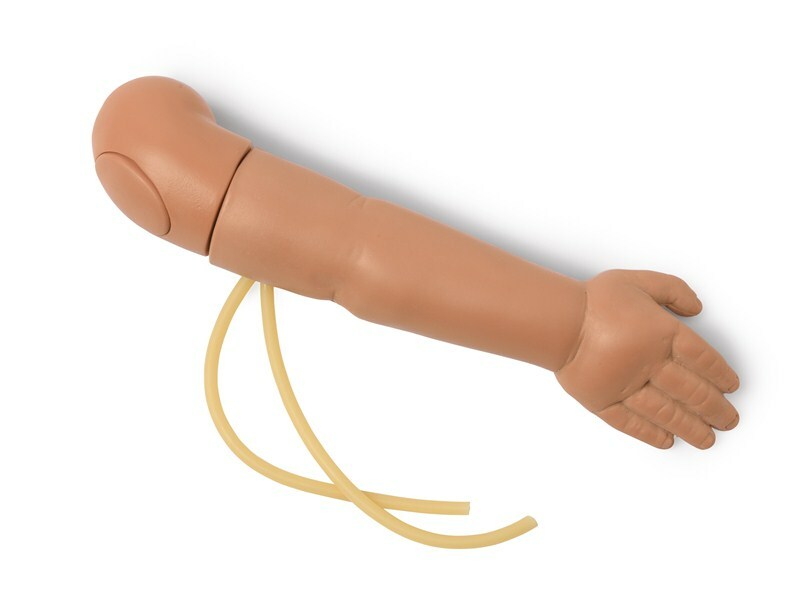 Right Infant IV arm in tan skin tone to fit Nursing Baby manikin with venipuncture possible in antecubital fossa and dorsum of hand. Simulated blood may be used for realistic flashback. © 2001-2019 Laerdal Medical. All Rights Reserved.